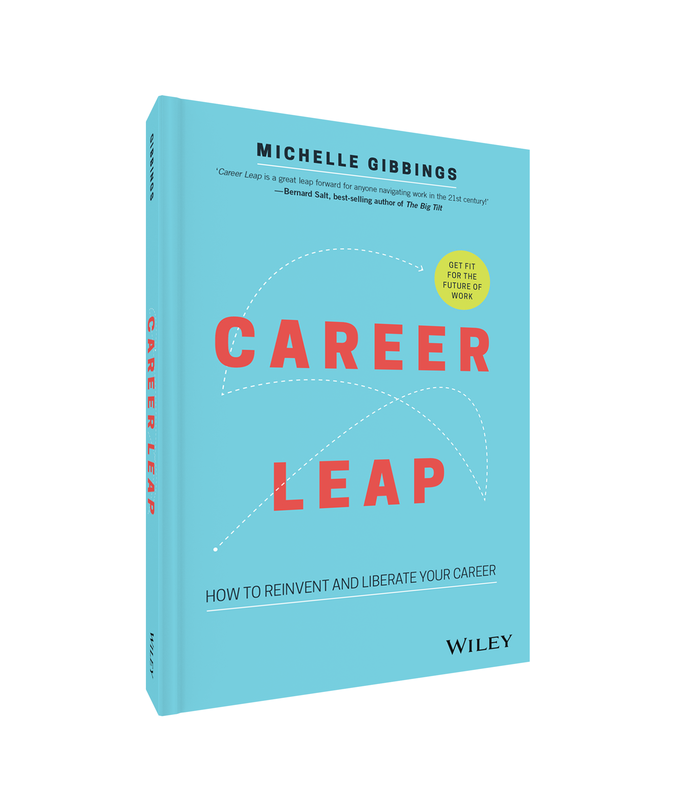 As an expert in helping organisations, teams and individuals get fit for the future of work, and Author of ‘Step Up – How to Build your Influence at Work’ and ‘Career Leap: How to Reinvent and Liberate your Career’, Michelle’s work lives at the crux of understanding, architecting and leveraging change. Obsessed with unlocking high-impact choices to accelerate meaningful progress, Michelle is enabling a new breed of leader – one that is able to thrive in a complex, changing world. Through her passion and advocacy for a new approach, Michelle has built a distinguished reputation across the Asia-Pacific region as the keynote speaker, advisor, facilitator and executive mentor of choice for many leading edge corporates and global organisations. She has clients in Australia, New Zealand, Asia, United States and United Kingdom. With more than twenty years’ senior executive experience across multiple industries, her expert ability to work with the flow and pace of change has seen her navigate uncertain and ambiguous environments to secure sustainable outcomes. Michelle has Undergraduate Degrees in Communications and Commerce, a Masters in International Trade, a Graduate Certificate in Compliance Management, Certification by the International Federation of Compliance Associations, and is a Chartered Manager. She has also studied at the London School of Economics and Political Science. She is a graduate of the Australian Institute of Company Directors, a Fellow of Finsia and the Institute of Managers and Leaders, and alumnus of Leadership Victoria’s Williamson Community Leadership Program. She is also an accredited coach, facilitator and trainer. Michelle is a sought after media commentator with appearances on: Sky News TV, Today Show Extra, Radio National Drive, Radio 2UE and other syndicated radio stations. She regularly writes and appears in The Age/Sydney Morning Herald, The Australian, Australian Financial Review, news.com.au, Herald Sun, Women’s Agenda, Huffington Post, The CEO Magazine, The CEO Institute, Inside HR, Australian Institute of Management, Elle, Mamamia, and Marie Clare (to name a few). When not running her own successful practice, or managing her predictably mischievous pup Barney, Michelle sits on the Board of the Arts Law Council of Australia and somehow finds time to venture to hidden, exotic pockets of the planet with her husband and best friend, Craig. Find out more about Michelle here. What’s the value she delivers? Working with global organisations, she helps them manage the complexity of optimising business decisions and delivering sustainable outcomes by building their capability and capacity to lead in ambiguous, changing times. She helps build connections, cohesion, purpose and value to create an innovative, dynamic and trust-based working environment where people excel. She supports and guides them to new levels of leadership capability and effectiveness so they achieve meaningful and sustainable success. Michelle works with team members to build their capabilities in core competencies including: decision making, change leadership, negotiation and influence. Enthusiasm – each project and engagement is tailored to the client’s specific needs. There’s no “cookie-cutter” approach applied!